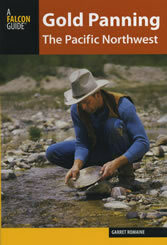 This book is a 6" x 9" paperback with 274 pages loaded with 101 locations in the Pacific Northwest where you can go out and find gold. It also contains techniques and suggested equipment for each location. Very few books offer this level of information for the panner.